Paroxysmal nocturnal haemoglobinuria, haemosiderosis, haemochromatosis. Special Precautions Avoid use in patients with active peptic ulcer, repeated blood transfusion, regional enteritis and ulcerative colitis. Caution when used in patients with folate-dependent tumors. Not recommended for use during 1st trimester of pregnancy. GI discomfort, anorexia, nausea, vomiting, constipation, diarrhea. Stool darkening may occur. Concurrent admin may reduce the efficacy of fluoroquinolones, levodopa, carbidopa, thyroxine and bisphosphonates. Iron may reduce the absorption of penicillamine by forming complexes. Concurrent admin with tetracycline may lead to reduced absorption of tetracycline and iron. Antacids may reduce the absorption of iron. Serum levels of anticonvulsants may be reduced by folic acid. 100 mg once a day. Dose can be increased to twice daily as per the requirement Or As directed by Physician. 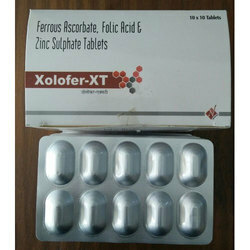 We are known in the industry as the leading manufacturer and exporter of Ferrous Ascorbate And Folic Acid Suspension. These products are available with us in customized quantities as per the preferences of the clients. We also test these products as per the international standards of quality. Treatment of iron deficiency anemia in children. Composition: Ferrous ascorbate 30 mg and folic acid 550 mcg. 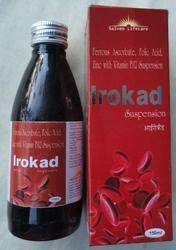 Indications : Iron deficiency, anemia of those patients suffering from chronic haemodialysis. Safety Profile : Caution required in pregnancy, safety has not been established to administer in nursing mother, children and geriatric. Adverse Effects : Hypotension, anaphylactoid reactions, musculoskeletal pain, diarrhoea, nausea vomiting, abdominal pain, pruritus, elevated liver enzymes, pain at injection site. Dosage : 100mg (5ml) one to three times per week. 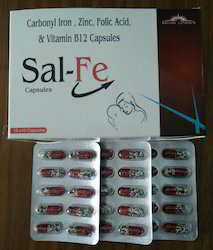 SAL-FE Capsules Each Hard Gelatin Capsule Contains: Elemental Iron (in the form of Carbonyl Iron) 100 mg Zinc Sulphate Monohydrate IP (Eq.to Elemental Zinc 22.5 mg) 61.8 mg Folic Acid IP 0.5 mg This capsule is the combined preparation of Carbonyl Iron, Folic Acid and Zinc Sulfate Monohydrate. It contains Carbonyl Iron with not less than 98% Iron content. Carbonyl Iron, having high bioavailability and low toxicity is safer and more effective choice for Iron supplementation. 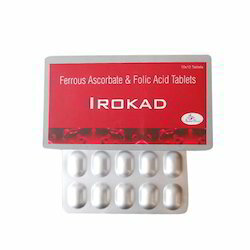 Indications and Usage: It is indicated for the treatment and prophylaxis of iron, folic acid and zinc deficiency especially during pregnancy and lactation. Use in Pregnancy & Lactation: Use of any drug during the first trimester of pregnancy should be avoided if possible. Thus administration of Iron during the first trimester requires definite evidence of Iron deficiency. Prophylaxis of Iron deficiency where inadequate diet calls for supplementary Zinc and Folic acid is justified during the remainder of pregnancy. Drug Interactions: Carbonyl iron may decrease the absorption of tetracycline . Folic acid interacts with antiepileptics no plasma concentrations of Side Effects: Gastrointestinal irritations such as nausea, anorexia, vomiting, discomfort, constipation and diarrhoea may occur. Patients may complain of dark stool. Carbonyl Iron pellets are incorporated into the capsules to reduce the possibility of gastrointestinal irritations. Rarely there may be allergic reactions. Contraindications: It is contraindicated in patients with known hypersensitivity to any of its component or those with Iron overload. Precautions : Special care should be taken in patient with iron overload states, such as haemochromatosis, haemolytic anaemia or red cell aplasia. Failure to respond to the treatment requires further investigations to exclude other causes of anaemia. In patients with renal failure there may be the risk of zinc accumulation. Storage: Keep away from light, store in a cool and dry place. Keep out of reach of children. This capsule is the combined preparation of Carbonyl Iron, Folic Acid and Zinc Sulfate Monohydrate. It contains Carbonyl Iron with not less than 98% Iron content. Carbonyl Iron, having high bioavailability and low toxicity is safer and more effective choice for Iron supplementation. It is indicated for the treatment and prophylaxis of iron, folic acid and zinc deficiency especially during pregnancy and lactation. Use of any drug during the first trimester of pregnancy should be avoided if possible. Thus administration of Iron during the first trimester requires definite evidence of Iron deficiency. Prophylaxis of Iron deficiency where inadequate diet calls for supplementary Zinc and Folic acid is justified during the remainder of pregnancy. Carbonyl iron may decrease the absorption of tetracycline antibiotics, quinolone antibiotics, levodopa, levothyroxine, methyldopa and penicillamine. Folic acid interacts with antiepileptics no plasma concentrations of phenobarbital, phenytoin and primidone possibly reduced. Gastrointestinal irritations such as nausea, anorexia, vomiting, discomfort, constipation and diarrhoea may occur. Patients may complain of dark stool. Carbonyl Iron pellets are incorporated into the capsules to reduce the possibility of gastrointestinal irritations. Rarely there may be allergic reactions. 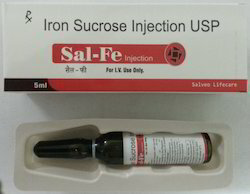 It is contraindicated in patients with known hypersensitivity to any of its component or those with Iron overload. Special care should be taken in patient with iron overload states, such as haemochromatosis, haemolytic anaemia or red cell aplasia. Failure to respond to the treatment requires further investigations to exclude other causes of anaemia. In patients with renal failure there may be the risk of zinc accumulation. Keep away from light, store in a cool and dry place. Keep out of reach of children. Looking for Leading Pharma PCD Company in Baddi ?